Live streaming, photo finishes and more from the SW Regional. Heading into the Southwest Regional anyone and everyone with a passing interest in CrossFit had an opinion on who would advance and how in the world this field could be narrowed to only four qualifiers. 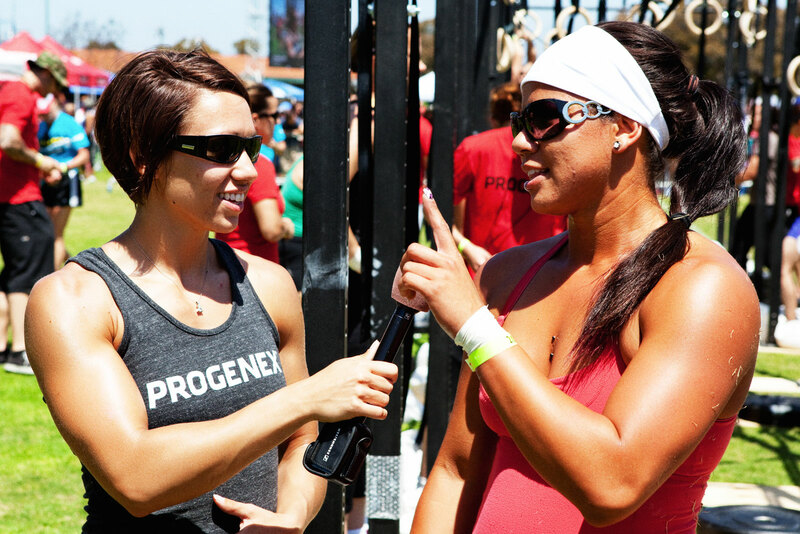 Would it be the big names of CrossFit Games past like Josh Everett, Pat Barber, Rebecca Voigt, or Kristan Clever? Or would the Regional see an uprising of young, unknown talent? Under the warm California sun, the monsters were unleashed to determine it for themselves. Steve Serrano, director of the Southwest regional checks in with the following report. WOW! What better way to sum up a stunning weekend in sunny Southern California as the biggest region, representing the greatest number of affiliates put its superstars on center stage. As if the performers themselves weren't enough, we streamed the event live throughout the weekend for tens of thousands on the internet. Combine the incredible athletes with the cameras bright glare and the spectacular Orange County scenery and fireworks were bound to explode. 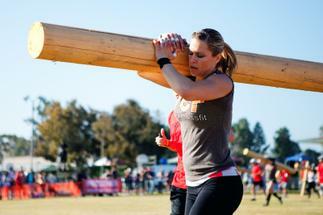 The women kicked it off Saturday morning, attacking a brutal challenge involving tire flips, sprinting and a log carry. Paige Nutt jumped to the lead with a blistering 4:57 closely followed by a large pack including 2009 Games competitors Rebecca Voigt and Val MacKenzie Voboril. While Voigt and Voboril had elected to complete the “floater” workout late in the day, several others attacked it early and put pressure on the favorites to perform. Elyse Umeda posted the top time, hammering through 20 reps of 115 pounds chest to overhead followed by 40 burpees, in 3 minutes and 13 seconds. When Voigt and MacKenzie stepped into the ring in back-to-back heats around 5pm Saturday, they did not disappoint, finishing second and third in 3:20 and 3:31, respectively. Even more impressive than the times were the CrossFit spirit demonstrated by Voigt and her Valley CrossFit training partner Katie Hogan (posting an impressive 4:09 finish of her own, good for 8th best) urging on fellow competitor Jaala Thibault after finishing their own efforts. Prior to the workout Thibault's overhead best was 105lbs. With the crowd and the Valley duo urging her on she was able to get her new PR 115 pounds overhead 9 times while completing a majority of the 40 burpees. While the scorecard shows a DNF, anyone who saw the workout walked away knowing they had just seen 3 winning performances. At the close of the day, the drama was disappearing from the ladies competition as the top six women posted top 10 finishes in all three Saturday events. In the afternoon workout, a triplet of two muscle-ups, 10 cleans and a 200 meter sprint, MacKenzie had another dominating performance finishing in 8:38, 43 seconds faster than her closest pursuers. Paige Nutt and Elyse Umeda tied for second fastest time in 9:21. Despite finishes of 1st and 2nd in the first two workouts, Nutt found herself heading into Sunday's final needing to make up a lot of ground due to the 20th place finish in the floater workout. For Sunday's final, the scores were totaled and the top competitors seeded into the final heats of the day. The stadium proved the perfect venue as the ladies attacked a 1000m row before completing 30 overhead squats and heading out on a 1200m run. From the outset it was apparent that the only question to be answered is which four women would be advancing to the Games as Voigt led from wire-to-wire coming first off the rower, ripping through the squats and attacking the run and extending her lead each lap to win by more than 200 meters. When Voboril, who entered the final with a three point lead over Voigt, came across the line in 5th, the title was Voigt's by the slimmest possible margin, a single point. Moving on to the Games with Voigt and Voboril are Elyse Umeda and Chyna Cho. Despite her strong start, Paige Nutt couldn't overcome her 15th and 20th finishes in the final two workouts to finish 6th. The other competitor who entered the final with a chance to advance, Laurie Galassi, finished 13th, leaving her in 5th overall. While the women were attacking the tire flip/log workout, many of the male competitors used the time to get after the floater WOD. Craig Knight made quick work of the 20 reps shoulder to overhead (185 lbs) and 40 burpees, serving notice that he was a force to be reckoned with while posting a 2:42. Egyed (3:12) wasn't far behind in 4th while, Pat Barber (3:23) and Josh Everett (3:42) finished 6th and 11th to move towards the top of the leader board. Joey Warren, Neal Maddox and Gabe Subry also posted fast times putting them in the top 11. Just before lunch, the massive tires (estimates on the weight ranged from 250 to 350 lbs) and 85 pound logs were rolled out for the men. Myles Lewis posted a 6:01 in an early heat and led throughout the afternoon until Seth Pelletier dropped a 5:55 in the final grouping. Jeremy Kinnick (6:06) was right behind in third finishing the log carry with an impressive sprint that made the giant timber look like a baseball bat. Names that were quickly becoming familiar, Maddox, Egyed, Subry and Warren were solidifying their positions in the standings with solid finishes, all again in the top 11. The big news coming out of the workout was Pat Barber's 50th place showing that effectively eliminated him from contention for a spot at the Games. While slightly less devastating, David Millar's 6:48 left him in 19th. Combined with a 4:32 in the floater, good for only 25th place, the chances of Millar repeating as Regional Champ and advancing to the Home Depot Center looked dim. But rumors of Millar's demise were greatly exaggerated as he put on a dominating performance in the muscle-up/clean/sprint triplet. He jumped out to a fast start and extended his lead throughout the heat, obviously knowing he needed a top finish to get back into contention. His time 10:08 was indeed the top time for the workout but Egyed continued to tighten his grip on the overall lead finishing second in 10:17. Not far behind were the familiar trio of Maddox (10:53), Warren (11:00) and Subry (11:06) finishing in 5th, 6th and 7th while cementing their status as favorites to advance. At the end of the day, as the scores were totaled and the heats seeded for Sunday's final, it was apparent that the consistent dominance of the top 4 had paid dividends, and anyone else hoping to qualify would probably need to post the final workouts top time and pray one of them faltered. While Joey Warren did finish in 16th place (11:55), he had enough of a lead from his performances on Saturday to hold on to the final qualifying position. Millar tweaked his shoulder on the 28th rep of the squats. After dropping the bar and taking some time to regroup, he finished the last two reps and found himself on the track 200 meters behind Maddox and several others. With a solid run, Millar closed the gap but was unable to overtake Maddox (1st in 10:32) and Egyed (2nd in 10:38), finishing third after holding off Subry and Craig Knight (tied for 4th, 11:06) in a furious sprint finish. When all was said and done, Egyed's consistent strength earned him the title. While not winning any of the four events, Egyed embodied the CrossFit ethos of “specializing in not specializing” finishing 7th, 2nd, 4th and 2nd in the four events. Neal Maddox, a former pro Arena Football player, announced his arrival on the scene finishing second. Joining them in Carson in July are Gabe Subry and Joey Warren. Affiliate teams from all up and down the coast tackled three major events throughout this event weekend. San Francisco CrossFit came out of the box swinging in the first workout, posting a time nearly two full minutes ahead of their nearest competitor in second place. The remaining workouts were fairly tight, time-wise, finding more familiar names towards the top of the finishing order: Invictus, SoCal and Inferno. 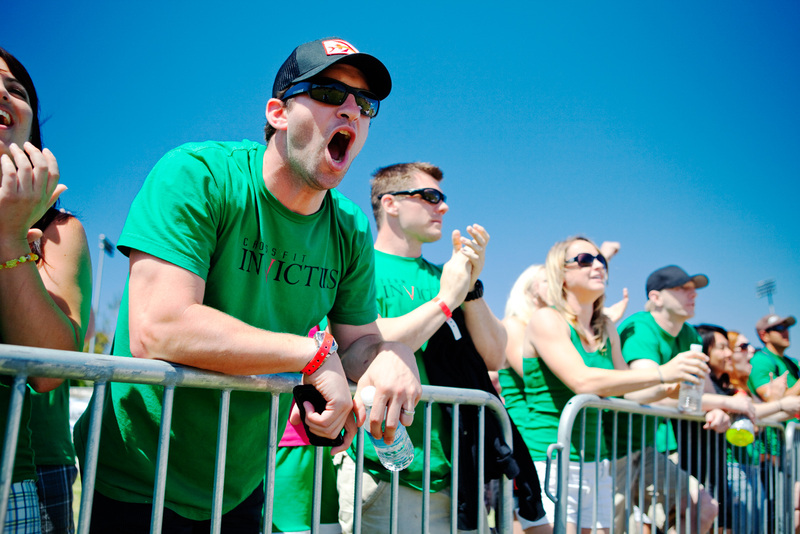 Invictus came on strong in the second workout, finishing first overall. 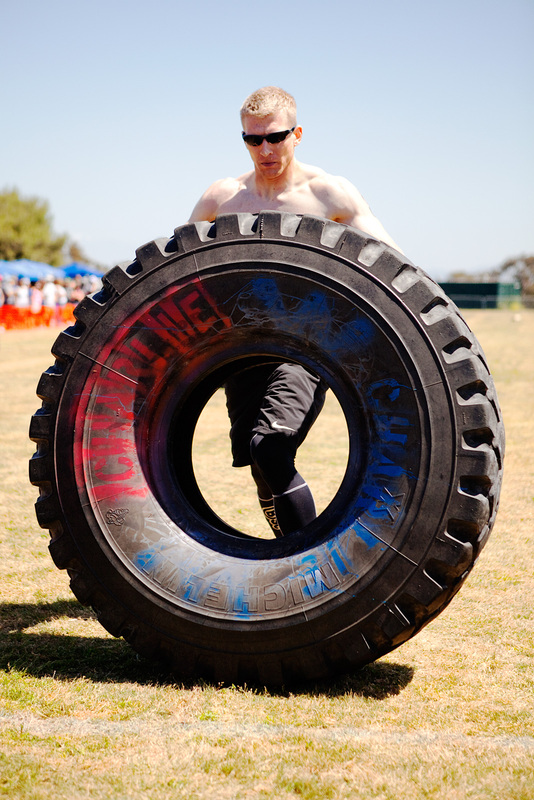 After a solid performance in the first and second workout, they Sat in first place heading into day two, all that needed be done was another stellar performance on the final event which combined a heavy tire, a heavy log and some squats into a ten-minute torture fest to the finish. The overall wasn't in the cards for Invictus though, finishing a distant 15th on this particular task. It was a great weekend. The event were fun and the enviroment was amazing. Does anybody know where we might find more pictures of the event? I know there were some photographers at the stadium workout on sunday taking pis of the athletes. Would be great to take a look at them. 12 May 2010 / 11:40 a.m. PLEASE NOTIFY US IF YOU HAVE INFO ON THE LOST WEDDING RING!!!! 12 May 2010 / 12:06 p.m.
CRAIG KNIGHT is a SAVAGE!! NO AFFILIATE! 12 May 2010 / 12:19 p.m. 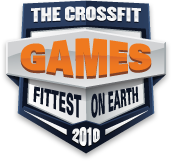 I think the Southwest Region of the Crossfit Games is too large to only allow 4 female and 4 male competitors to qualify. The depth and quality of competitors speaks for itself . . .
12 May 2010 / 12:38 p.m. So, what happened to Kristan Clever? Didn't she finish 1st in the sectionals when she didn't even need to compete? I don't even see her on the list of competitors. Did she get hurt or something? 12 May 2010 / 1:26 p.m.
She competed with her team. 12 May 2010 / 1:51 p.m.
Great competition & I loved the streaming coverage. I never watch sports but I was glued to the SW Regional all weekend! 12 May 2010 / 2:07 p.m. Pretty sure Kristan took 4th at the Games last year so she automatically qualifies for the Games this year. She didn't have to compete at the Sectionals (she did it for fun) and she didn't have to compete at the Regionals this year (helped her team). 12 May 2010 / 2:22 p.m. Thanks Steve for putting together such a great competition -- it was really well run and was great fun for both competitors and spectators. Also - many many thanks to all the volunteers and judges ... I have nothing but good things to say about those folks. 12 May 2010 / 2:32 p.m. Thank you for putting on such a fun and well planned out event. You guys will never get the recognition you deserve for all your effort. I know all the athletes I spoke to felt the weekend's events were put on with class. What a gathering of incredible athletes, whose performances didn't let anyone down. Thanks again. 12 May 2010 / 2:44 p.m.
well ran event! the atheletes were simply amazing. i agree with neil 4 isnt enough with the depth of this region. 12 May 2010 / 3:49 p.m.
Maddox was impressive but nobody was close to Egyed on the weekend. 2nd, 2nd, 4th and 7th and coming off a top 5 in last year's games? Very impressive considering the competition this weekend. Maddox won't improve that much in 2 months but I wouldn't bet against him in 2011. Maddox and Egyed were the class of the weekend. Bottom line is it's ridiculous that Knight and Millar aren't heading to Carson in July. In an every second counts format they would have been 3rd and 4th, pushing Subry and Warren out. I'm not saying those two don't deserve to go, they absolutely do. What I am saying is that you can't tell Knight and Millar that they weren't as good as the other two this weekend when everyone who watched knows they were. A more important point is that the size of this region, in terms of affiliates and people who CrossFit on a daily basis, DEMANDS that more than 4 competitors advance. If you want the best to compete at the Games, Knight and Millar need to be there. 12 May 2010 / 4:18 p.m.
Steve Serrano is the man. What an amazing event. 12 May 2010 / 4:28 p.m.
Who decides on the # of athletes that get to compete? 4 isn't enough. They need to make it bigger! It looks like there are regions half the size with 4 spots as well. Our athletes compete so hard and I know you can say if they are good enough then they would have been top 4, but come on...more than just the top 4 had great showings in a region that is huge. I say they give more than the top 4 athletes a shot at the games this July! 12 May 2010 / 4:40 p.m.
Take a breath Jerry. Neal has made huge strides in the last year and probably has more "potential" than any other athlete I've seen but no amount of strategy gets him 6 points and 40 seconds better. Egyed was clearly superior and there were 3 athletes better than him at the Games last year. I don't doubt that Maddox is a serious threat to take a Games title in the next few years but if you have some money for 2010, I'll be happy to take it. 12 May 2010 / 5:32 p.m. Thanks Ryan but the judges led by Jeff and Mikki Martin were the ones on top of things. The volunteers and logistics folks working with Neil and Denise were another critical part of the effort. We'd work with them again in a minute. 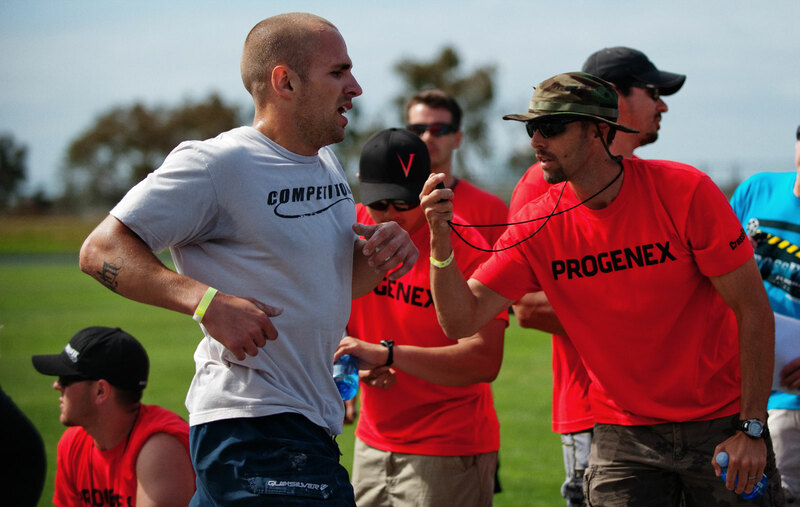 Combine it with a timing/data crew led by Gabe and Brent and the sponsor details wrapped by Alissa and we tried to have some of the basics covered for you. 12 May 2010 / 5:33 p.m.
What about the Masters? Respect your elders and give us a little shout out. 12 May 2010 / 5:43 p.m.
You guys were not only fantastic competitors, giving your all; you were great spectators, volunteers and judges when you finished your events. 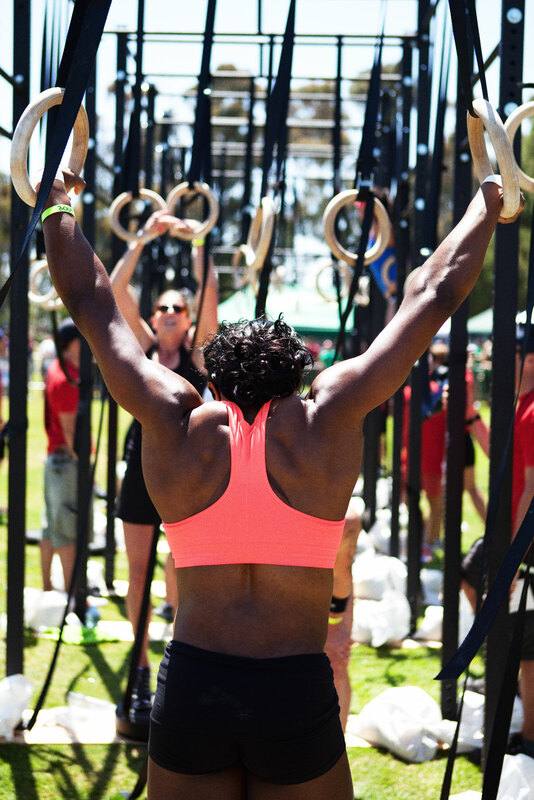 We see the benefits of the contributions of CrossFit in each of you. Thanks for coming. 12 May 2010 / 6:43 p.m. I am in agreement with those stating that more qualifying spots should be given to the SW Region. That goes for the AFFILIATES as well. Only sending 8 affiliates out of 67? Some regions are sending 8 affiliates that only had 35 teams that competed. How does that make sense? Not taking away from any other region, by any means. It just doesn't seem right or fair to the SW athletes. Hopefully something can be done to allow more athletes that deserve to go to this years games coming from the SW.
12 May 2010 / 8:45 p.m.
12 May 2010 / 8:49 p.m.
Only one bad thing about the Regionals this past weekend. There were teams competing out there with people that aren't actual members. Keep CrossFit's integrity intact Affiliate Owners! You know damn well that you're not suppose to have people on your team unless they are an ACTIVE member. Luckily the two teams I know of, didn't make it, but one came pretty damn close. 12 May 2010 / 8:54 p.m.
maddox might not even make top 4 out of this region next year! nathan holiday, josh evertt, max fernadez, jon markovich, ronnie tealsdale, will all be back!! also a few young unknowns that have top 10 potential if they work hard enough to cap on it. 12 May 2010 / 9:04 p.m.
12 May 2010 / 9:22 p.m.
12 May 2010 / 9:57 p.m.
Also, I DEFINITELY think that there needs to be more allowance for individuals for the games from our region... I mean - just the sheer saturation of affiliates and individual crossfitters ALONE slam all the other regions. 12 May 2010 / 10:10 p.m. This regional was more suited for the bigger guys. Reallly only one body weight WOD with the muscles ups. The big difference in the standings was the floater WOD. That seperated everyone. 12 May 2010 / 11:04 p.m.
Jay, you saying "this regional was more suited for the bigger guys" is absurd. Did you see the guys that placed top 4? I don't think any of them are over 6 feet (although I think Maddox claims to be), and all within a 175-190lb range. None would qualify in my book as "bigger guys". No disrespect, but you are off there brother. 12 May 2010 / 11:23 p.m.
Marty, ok maybe I was off by saying "bigger" I guess what I was trying to say that the WOD's were those that favored someone that had more "weight" strength. Our Gym had a kid that was 165 and the weights hurt him. Dead lift a tire 275ish carry a pole(not sure of the lb's) 185lb over head 40 burpees. 5 mu's 135lb clean. row 135lb overhead and run. I guess not seeing a chipper at the end to combine everything threw me off. Not taking anything away from the top 4 hell, the top 30. Just would have liked to seen the wods more diverse. 12 May 2010 / 11:50 p.m. I agree with duace I'm so glad we test for drugs. We should without question test at all regionals or at least most if it's affordable geez 50 bucks a ticket should ensure all ath are clean. 13 May 2010 / 12:01 a.m. I've got the Canada Regional coming up soon, 6 spots go through. We're covering a huge land mass....but I'm pretty sure the SouthWest regional would yield a stronger top 10. All things to consider for 2011. 13 May 2010 / 7:41 a.m.
Another option is to have all the regionals use the same WODs and generate a point system for the WODs. The top 3-4 from each region advance and then the next 10-15 with best scores across the world advance as well. This way you'll have representatives from each regional and you would likely capture the additional talented athletes that were edged out of a qualifying spot otherwise. 13 May 2010 / 9:08 a.m.
Hell of a weekend Steve and Denise. Very well planned and executed from beginning to end. For all those complaining about the number of athletes moving on to the games. The proof is in the pudding! If the Southwest is as stacked as you say it is, then our 4 athletes will clean house in Carson in July. Then and only then will HQ reconsider the number of regional bids. Until then, take what you get. 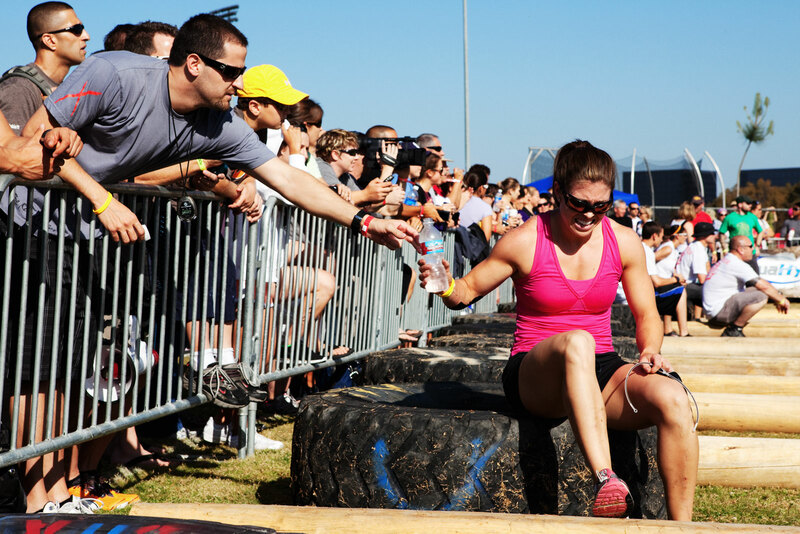 This CrossFit competition makes it such that anyone can win on any given day due to the contant variance. Everyone has a weakness. Millar and Knight are studs. If they stay after it, they'll be back next year. Bottom line is the competition was fair, we can't change the spots, and the results depend entirely on the workout programmed for that given day. If we had another comp this weekend, the results would be different. The athletes knew that and they signed up anyway. Better luck next year. 13 May 2010 / 11:02 a.m. Your propsal is completely against the true form of CrossFit. It's the Regional staff's job to send the fittest athletes to the Games. If they program poorly, then the athletes from their region won't do well. Are we going to start making every affiliate do the same workout everyday, too? That sounds like a franchise to me. The piont is, the format works well. It will take some compensating and adjusting over the next few years, but nothing's perfect. Let the regional directors program however they please. If they do their job, Southwest athletes will dominate. I thought Steve and his staff played it perfect! 13 May 2010 / 11:09 a.m. I don't disagree with you, just presenting alternatives to appease the masses. I think that there are two solutions to address people's interest in sending a certain number of athletes to the games. Option 1 is to have things remain status quo and accept that the southwest (and other regions) will send their best athletes. Option 2 is to generate some type of standardized assessment. The current system works as evidenced by the quality of athletes that are already qualified. The alternative may allow other potentially equally qualified athletes to advance to the games, but so would increasing the number of participants at the games. As you stated, the regionals are structured to send the most qualified candidates to the games and that is based on their performance. If the SW is so heavily stacked with talent, those advancing from the SW should do very well at the games. 13 May 2010 / 1:48 p.m.
Everyone should be tested at random so everyone is kept on there toes!! Also post real names joe mamma stop hiding. 13 May 2010 / 7:19 p.m.
Everyone should be tested at random so everyone is kept on there toes!! Also post real names joe mamma stop hiding sucker up. 13 May 2010 / 7:20 p.m. I regret not going to see the games now. 13 May 2010 / 7:45 p.m. I watched online and I must say kudos the the Serrano's and the Martin's. The way the score was kept is the most fair and consistent way to evaluate each performance. The programming was great, the workouts favored no one and were perfect to determine the most well rounded athlete. 13 May 2010 / 7:53 p.m.
Great showing at this event from the volunteers, judges and competitors. 14 May 2010 / 12:48 a.m.
#35 Bobby. Don't count on HQ to validate your opinion. The Northwest placed 2nd and 3rd in the mens and 2nd in the womens. The affiliate was also won by the Northwest. They did not get anymore spots this year. 14 May 2010 / 7:29 a.m. I never said they would change it, just consider it. I personally like the current format. I am not of the opinion to increase the number of athletes at the Games though. Maybe more qualifiers next year, but the competitions take quite a toll on the body, so more than a few would be overkill. I think its great to see new faces each year as this thing gets bigger and bigger. And I love the competition between the regions at the games. It makes the programming at the affiliates better and better. I just can't wait to see how the past champions do at this years' games!. 14 May 2010 / 7:47 a.m.
What an outstanding and well ran event. I thank everyone out there that helped put this competition together. Never have I seen such a massive amount of elite athletes. It was an honor to compete on the fields with all of you. I am disappointed in the number of athletes going. We need to send more individuals and affiliate teams to the games. Where is the love? 15 May 2010 / 5:37 p.m.